It’s Friday… and many will be saying “TGIF!”. 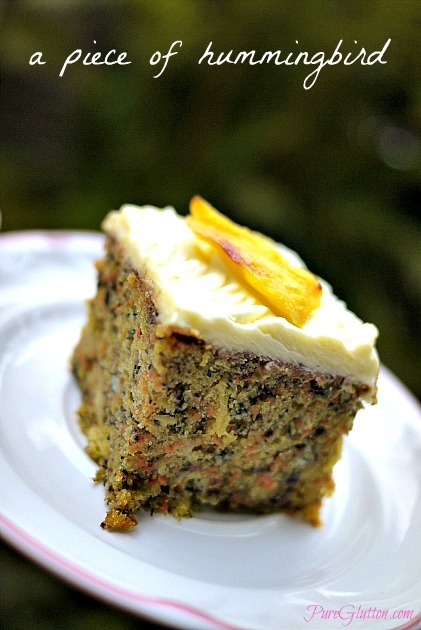 The weekend is just a step away… so here’s a slice of home-made Hummingbird Cake for you to welcome the weekend! 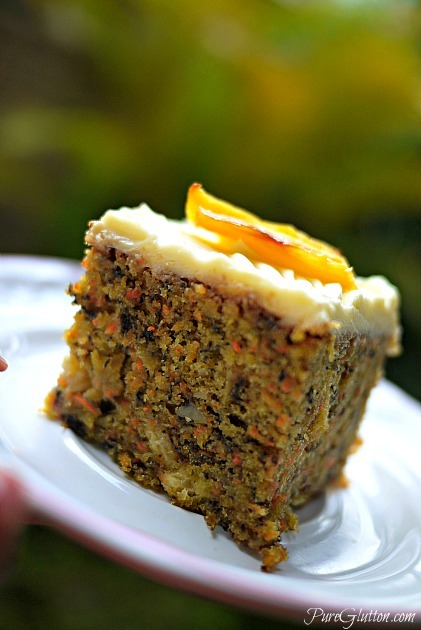 It’s a very healthy cake… full of carrots, pineapples, raisins, bananas and walnuts and I used corn oil to bind everything together. The topping is made from cream cheese and to add a touch of sunshine, I decorated it with a piece of roasted pineapple! Gorgeous cake! It sounds like the carrot cake I make minus the pineapple.. next time I also can try adding some pineapples.